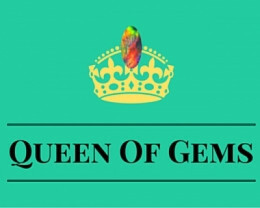 Similar to a doublet, but has three pieces sandwiched together, with a thin piece of precious opal cemented to a backing and a clear quartz cap placed on top to protect and bring out the colour of the opal. Triplets are cut with very thin wire blade. This cutting machine had metal block about 4 inches long with hundred odd fine cutting wires, extremely thin. 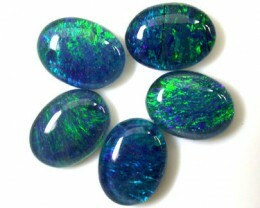 Thinner than piece paper it will cut opal into thin slices. 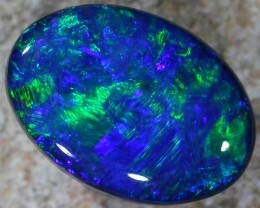 A one ounce block of opal may only cut 50 large opals say 18x13mm. 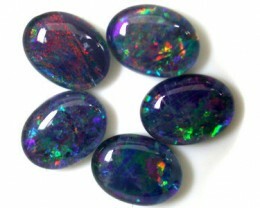 The opal slice is then glued onto black base, so the black colour base really enhances the thin slice opal. 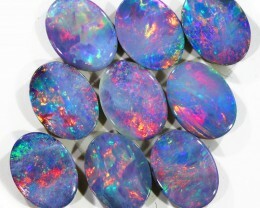 The cutter then glues opal cabs, either quartz or acrylic. Triplets are good to see strong fire colour for reasonable price. We recommend not to wear triplets in shower or washing up as water does sometimes seep in to glue joint and you will loose some fire colours. 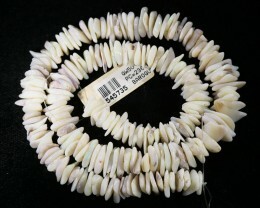 But I have seen ladies with 20 year old triplet rings that they have worn everyday and still look good. Sometimes after few years just quick polish on top of cab brings up good fire colour also. 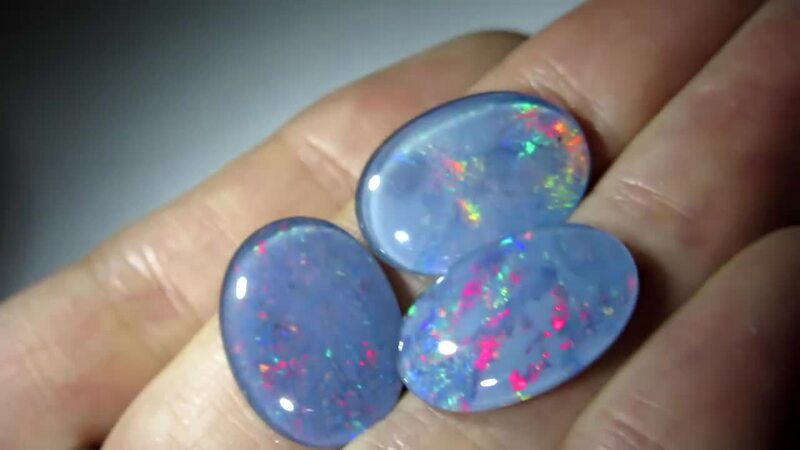 Opal triplets are good start to the enjoyment of opals.